Join Taiwanese American Professionals – Chicago (TAP-Chicago) for our April happy hour/mixer at The Kerryman Irish Bar & Restaurant. 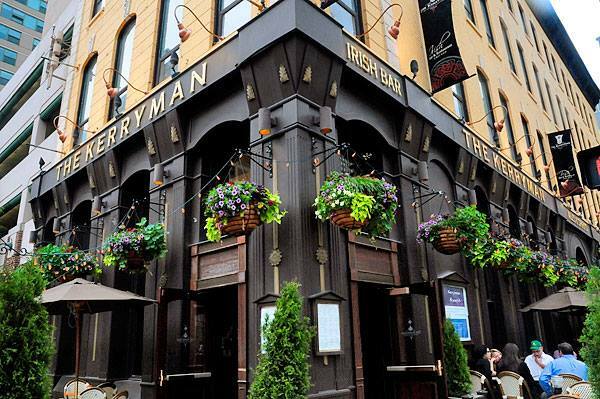 Known as one of Chicago’s liveliest Irish bars, located in the heart of downtown Chicago’s River North Neighborhood, The Kerryman is a little piece of Ireland. The 3 owners all hail from Co. Kerry Ireland and the Head Chef Damo Moloney from Co. Limerick, Ireland who creates an upscale authentic Irish menu. We will have reserved space in the upper level. Come out and meet old friends and new friends alike, celebrate the beginning of Spring. Drink & food specials TBD.